Another week down, another review of our Geekly activities throughout the week. This week saw the release of no doubt, one of the biggest game releases of 2017 with Call of Duty WW2. I’d skipped out on last years COD title, but the revert back to WW2 had me interested in this years version from the first announcement. I picked it up on Saturday and after a tedious 2 hour wait for a 9GB update file to download and install I finally got to start. The opening of the game is somewhat brave in all honesty. When it comes to WW2 games, obviously they will all follow a similar narrative with regards to re-enacting some of the most infamous moments during the event. In this case Activision opted to open COD:WW2 with one of the more known events of the 2nd world war with the storming of Normandy beach. The reason I say they are brave for going this way is that despite It’s original release years back, Medal of Honour: Frontline’s opening mission of Normandy was one heck of a moment back then, and while the technology has increased 10 fold since, It’s something you’d be brave to try and recreate again. Fortunately for Activision they did pull it off and the opening mission is very gripping, entrusting you to clear bunkers out. As touched upon with the strides in power, the visual of this game are jaw dropping. After the murky level of Normandy you partake in Mission Operation Cobra in a more light area of France, the visuals once again are incredible. One thing I’ve massively enjoyed about this COD Campaign is the lack of regenerating health. So if you take damage you can only heal via med packs you find on the level, or from your squadron handing out med packs. Each member in your squadron aids you with an ability that after you’ve performed enough heroics will unlock such as additional ammo, med pack, enemy visibility or mortar strike. I left the game after just completing a stealth mission that goes awry with the assistance of British and French allies to destroy a train full of German machinery. It was an enjoyable experience and the stealth sections of the level were surprisingly good fun. Rather than just go guns blazing, this was a decent section of the campaign. I also got to try Zombie mode on local multiplayer with a friend. We played it far more than we had initially expected to and I actually really did enjoy it. We kind of figured out what to do, found the 3 pressure gauges to blow the sewers and found the way to unlock the bunker. From within here though we were running round a little lost for a while. I think our longest survival was just shy of 20 minutes. I do anticipate a few other friends getting this game and getting 4 of us together to tackle the zombie mode. It was pretty decent fun. The genuine highlight I’ve had from the game, and it really is so sad to say it, but the sound the M1 Garand makes when it’s final bullet pops out of the chamber signalling you need to change the magazine, that *Ping* noise really takes me back to the good old days of the original Call of Duty games. I have incredible memories of playing Desperados on PC when it first came out in about 2001. My friend who lived opposite me had it and almost every day I would be around there playing it with him, planning tactical manoeuvres and trying to complete levels without getting spotted. Incidentally, Commandos 2 Men of Courage also came out in 2001 and I loved that game too. 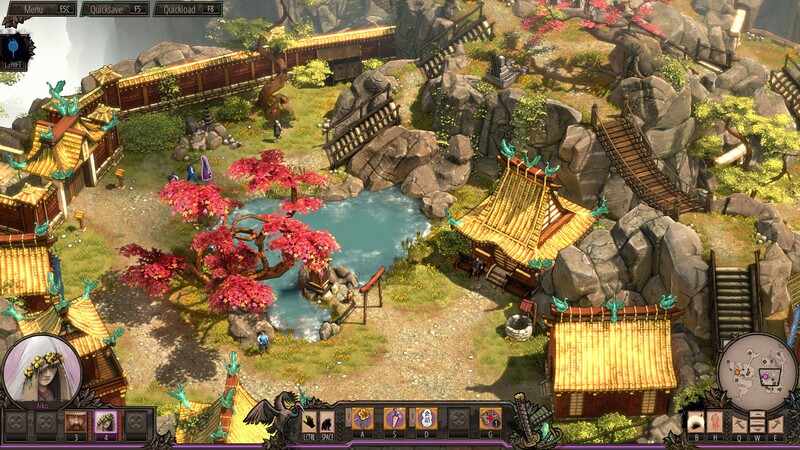 Both of these types of strategy games are genres that I really love, so when Shadow Tactics came out late last year, I was very, interested in it. I didn’t buy it at the time, partly because I didn’t know a lot about it and didn’t want to spend the money. But I saw that it was on sale last week and has been received amazingly on steam, so finally took the plunge. I’m so glad I did because it is an amazing game! Set in Japan and loosely based on the Edo period, a new Shogun has unified the nation after years of war. But now a mysterious warlord named Kage-sama has emerged and is trying to destabilise the country. You play as five characters each with their own special abilities and have to sneak and stealth your way through levels and complete various objectives. 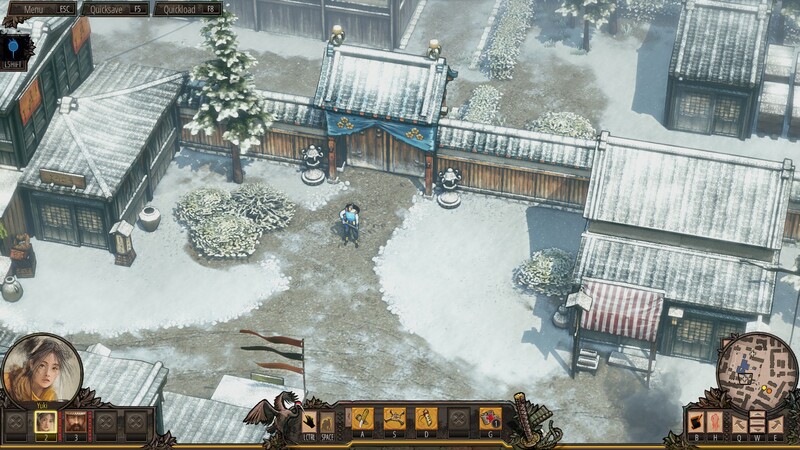 The game looks fantastic and even in the first few levels you get to see a wide variety of settings from mountain tops, villages, snowy lands and a lot more. You can’t help but get swept up in the setting for the game. So far, each level has taken me over an hour to complete, although I’m sure you can do things a lot quicker, I just like to take my time with it. With each level you will only have access to a select couple of characters and this will dramatically change the way you play each level. Hayato and Yuki are very much about stealth and setting traps, with the ability to climb on to buildings, whilst Mugen is a Samuari who uses his brute strength to take out multiple foes at once. The variety in the gameplay, levels, and characters to use has been great and has made every level feel completely different to play. I’m still grinding away on Destiny 2, trying to get my Titans power level up to nearer the 300 mark. Getting in to 270 was a bit of a slog, but I’ve finally broken through that barrier now. This weekend was also my first attempt at doing any of the Nightfall strikes since launch on both Console and PC. We managed to complete it on our 2nd attempt and it was very satisfying to do. This week sees the return of the Faction Rally so I will be grinding a lot of tokens in a bit to try and get a full set of armour and some good weapons for New Monarchy – the best Faction. 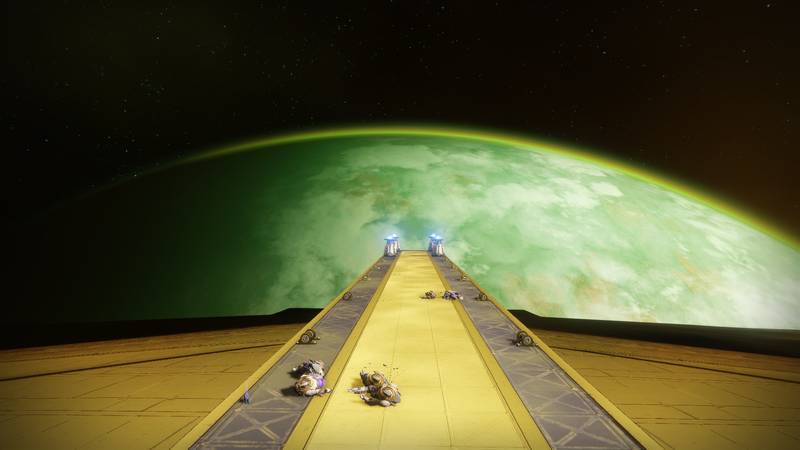 I think this faction rally has come at a really good time too, I’ve been feeling the grind for gear a lot this week and I’m hoping that this new event will really help to bump up my power level like it did on the console. I know they’ve nerfed some of the token rewards for some activities, but I still think I’ll be able to get a good amount of loot! We went to visit the raid, but haven’t tried it yet! Destiny 2 has been a great experience for me on PC since launch and it’s mostly because I’ve almost always had someone to play with, I now have a full team for the raid who play regularly, and once we’re all up around the 270-280 level I’m sure we will be giving it a go! I’ve also really been enjoying the PVP on PC. A lot of people have had complaints about it and whilst it is very different to Destiny 1, once you adapt I think it’s really good fun. I mostly enjoy playing in the competitive playlist as it’s a little slower and more tactical. I put together a video of a recent match that went really well for our team! I didn’t think you’d pull off that win when you popped your special lol. Things were looking kind of shaky for you at that moment, and COD sounds like they changed it up almost completely. You should post a video of some gameplay! Yea, managed to pull it off though! Was a make or break moment.